What is Sodium Laureth Sulfate / Sodium Lauryl Sulphate (SLS)? A crystalline salt of sulfated lauryl alcohol, Sodium Laureth Sulfate (SLS), is the detergent. The main purpose of Sodium laureth sulfate is to produce lather and remove the dirt to make the substance clean. There are many alternate names of SLS like Sodium dodecyl sulfate, A13-00356, Sulfuric acid, monododecyl ester, sodium salt, Akyposal SDS, Sodium salt sulfuric acid, Aquarex ME, Monododecyl ester sodium salt sulfuric acid and Aquarex methyl. Sodium Laureth Sulfate or SLES is the common ingredient found in almost all the cleaning products. Why Sodium Laureth Sulfate / Sodium Lauryl Sulphate is harmful? According to EWG Cosmetics Database, SLS is a "denaturant, surfactant cleansing agent, emulsifier and foamer," rated as a "moderate hazard. ", SLES, a yellow detergent with higher foaming ability, is comparatively less irritating than SLS. There have been almost 16,000 studies conducted so far about SLS and SLES. The studies have shown that SLS can cause the irritation in eyes and skin apart from organ toxicity / developmental toxicity. It is also connected to have the harmful effect on nero, endocrine disruption and biochemical changes. Some studies have also blamed SLS for cancer related diseases. Why Sodium Laureth Sulfate is used by soap companies if it is harmful? The main reason of using SLS or SLES in soap by manufacturing companies is PRICE. Compare to other natural products that helps in foaming, SLS is much cheaper, cost effective and easily available. Should you change your soap to SLS Free Soap? If you have a sensitive scalp, dry hair and are suffering from the excess hair loss, yes you should change your soap to SLS free product. 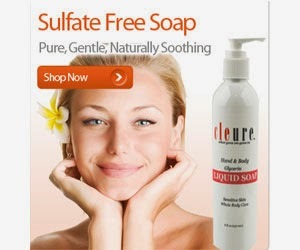 Where to find Sodium Laureth Sulfate free Soap? The best SLS free in India presently is the Segals Solutions, Khadi & Himalaya. The herbal ones are not only SLS free but free from all harmful chemicals thereby immensely beneficial for your hair. All of these are SLS free and contain special herbs and botanicals and hair-rejuvenators and anti-oxidants to give wholesome hair-health. Which soap you use? Are you satisfied with your soap? If no, what problems are you facing?